That looks pretty promising for high-lift camshafts. Check the stem diameter.. My fiero heads have 8,7mm, so look for 11/32" or 0.344" . If you use CSB valves you will probably have to use longer pushrods and spring spacers. You can find 0.344" with undercut/narrow stems ends from summit, ebay or other places. Yes, the iron heads use 11/32" diameter valve stems. The aluminum heads use 8mm. Ah yes, valve stem diameter is one of those "hi-tech" reasons aluminum heads flow better. Have you guys ever seen the valve stem diameters of foreign engines? Time to put the D-shape to rest, it was taking to much metal from the walls. The next step is the oval shape (higher than wide) with a circular conical port opening matching the gasket of 34mm diameter. Nothing is done to the bowl more than removing som dirt. This is the flow, notice this stock port started out approx 20cfm less than the last port used for the D-shape. 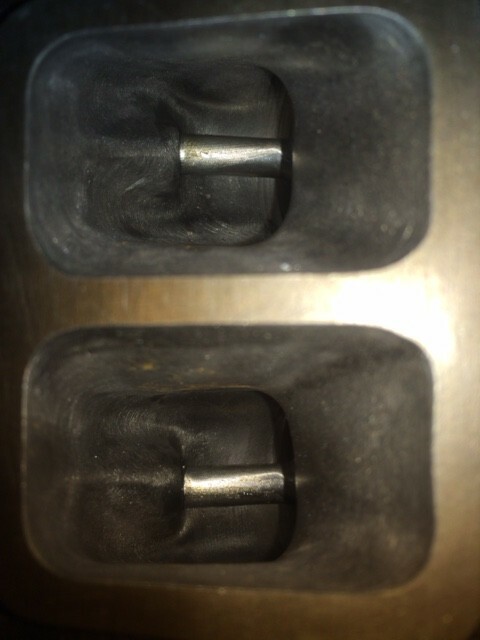 The area around the valve guide are slightly different on all ports on these heads which results in different flow of the ports, the amount of dirt in the stock ports do vary also..
Im very pleased with the shape of step1, it exceeds the flow of the stock port on all valve lift points and the healthy max flow can be reached with a medium performance cam and high ratio lifters. Starting to cut down the valve guide to make a smooth, more flat and even surface, and better looking port just as porting guides describes well yeah.. in my ports this is a recipee for decreased perfomance, the flow dissapears fast. Just like I experienced in the previous D-port design. This is a good thing since reshaping the valve guide would be the most difficult part of the porting job. 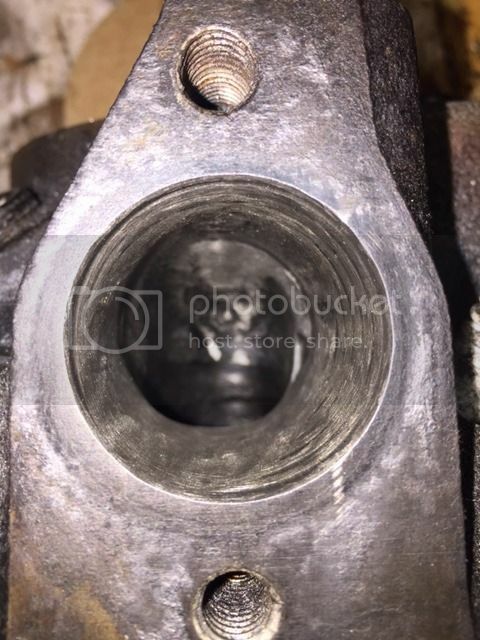 So after a couple of months digging and measuring in these exhaust ports I do think the oval port step2 is pretty much as good as it gets, and Im running out of cylinder heads. 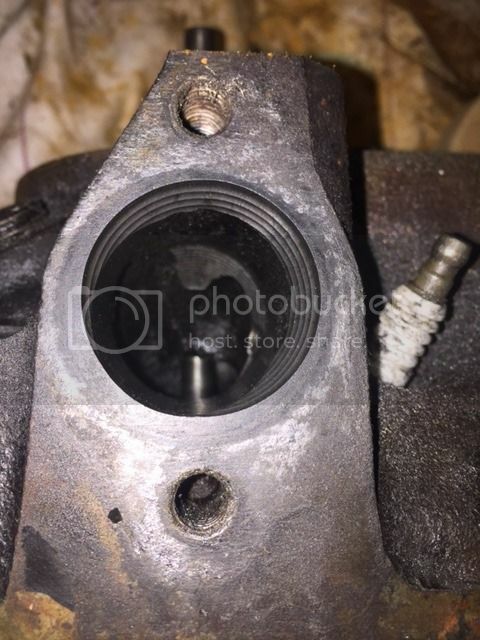 Massive gains in the exhaust ports flow can be achieved, with stock valves. These steps did improve the flow without side effects. Increase the runner, more straight and more area, stay away from the hump. The bend between the runner and bowl is what limits the maximum flow, this is why the graphs takes a jump when smoothing out the edges leading to the runner. Reshaping the bowl, loss of flow with realistic valve lifts, although very high max flow could be seen. just polishing the stock shape port, gains to small to justify the time to do it. If not the heads are removed from the car for other reasons. Now I have to make 6 identical ports..
You may have lost some of the improvements with the porting job by doing the valveguides smaller. But really hard to tell without flow bench measuring.. I suspect this is the reason for the very small gains in previous published porting jobs on these heads, on this and other forums. I even tested to grind one of the valve guides down and used epoxi filler to get a perfect flat surface, it looked very nice and "high flowing", but it reduced the flow. Judging by the way my two 3.4's w/ported heads perform, I have no complaints! I do use the 31000/3400 block as a base though... One uses the DOHC pistons and the other uses stock Camaro pistons. 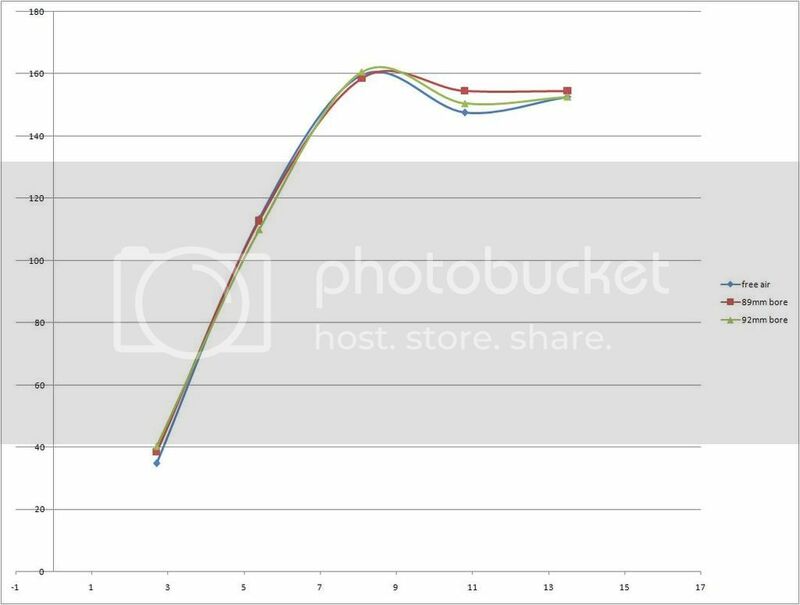 Which cam Do you use for your 3.4? On the high compression one, I use the WOT-Tech 480/480 cam. 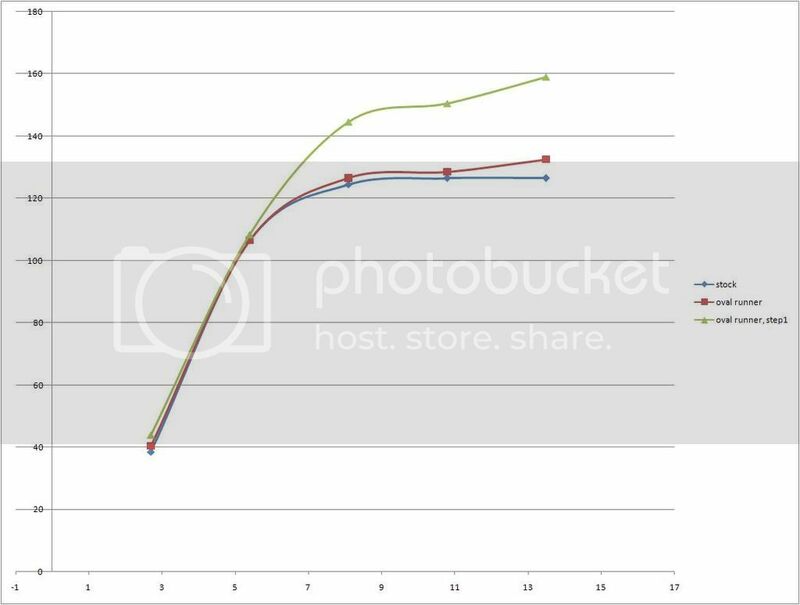 On the 9.0 compression ratio one I use the stock 96 3100 cam. The amount of loss at these lifts are not only connected to test pressure but also which cylinder bore the heads are to be used with.. 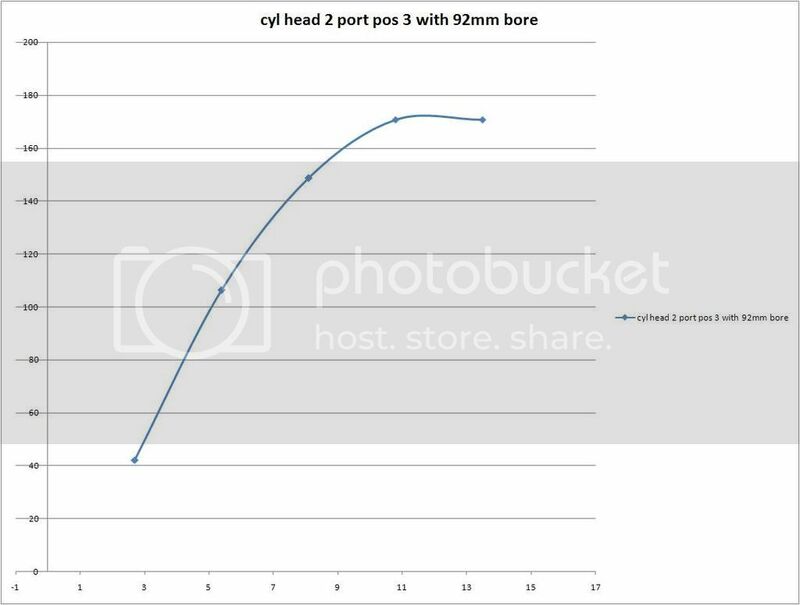 This is one of the almost finished ports tested with a infinitely large bore, 89mm bore(2.8) and 92 mm bore(3.4), the saddle point in the graph is hard to miss. 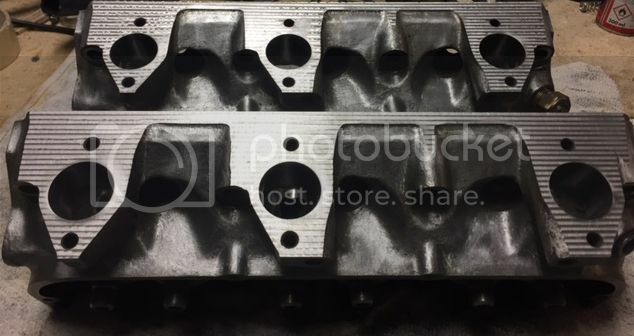 Its clear that the combination of a high lift cam, a 3.4 block and high flowing cylinder heads are going to cause some issues. 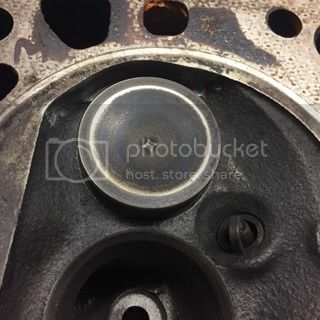 After examination of the heads I observed that the valve passes the cylinder head bottom at approx 11mm, at this position the valve disk is very close to the cylinder head edge, a 90 degree corner. This makes perfect sense, More flow=more airspeed and with larger bore the cylinder head edge is more exposed = Interference = Turbulence = bad. That is my hypothesis. What are you using to measure flow, a floating depression bench? 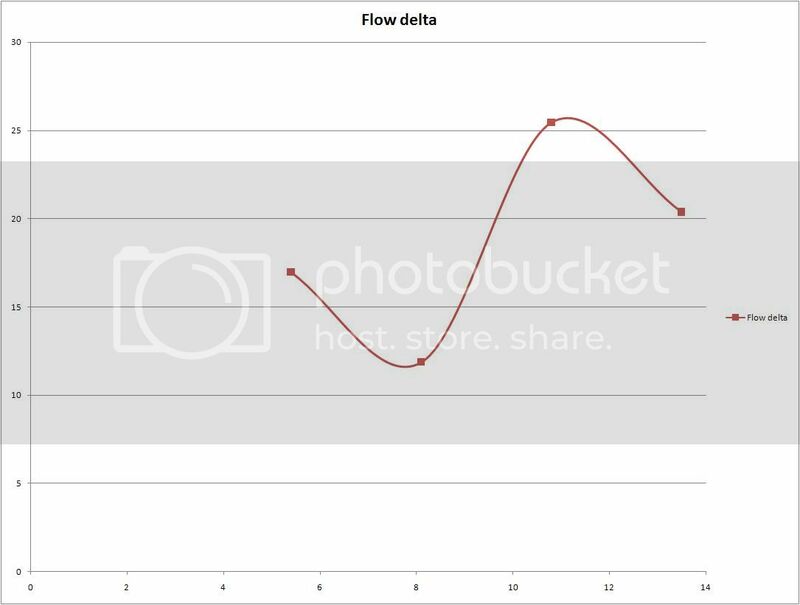 What is the actual depression, and are you using any tools to look at the flow behavior? strings, flowballs, etc? Im using a flow bench consisting of 4" pipe, very large U-tube meter with water, digital velocity meter and vacuum source. Actual measure has varied over time but now I use between 20-24" water. 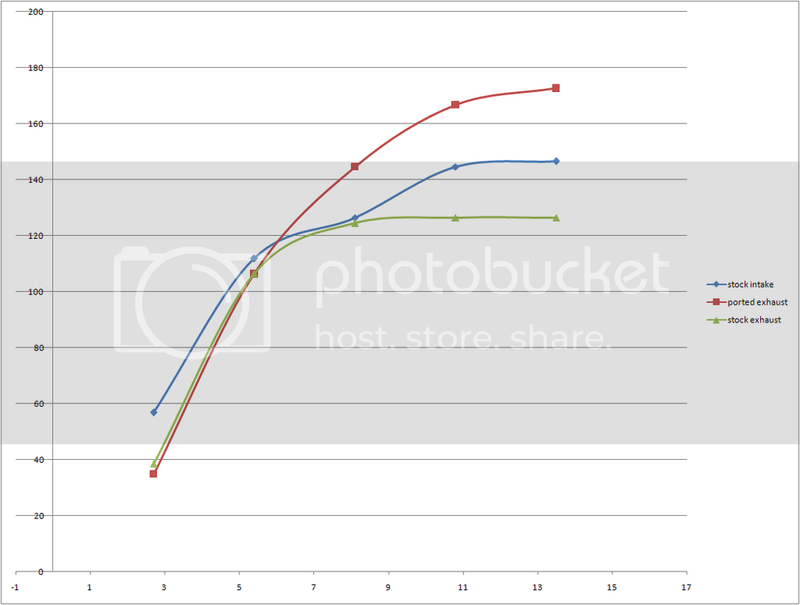 All graphs are corrected for 28"
No strings, but thats a good idea! I will try that some day. 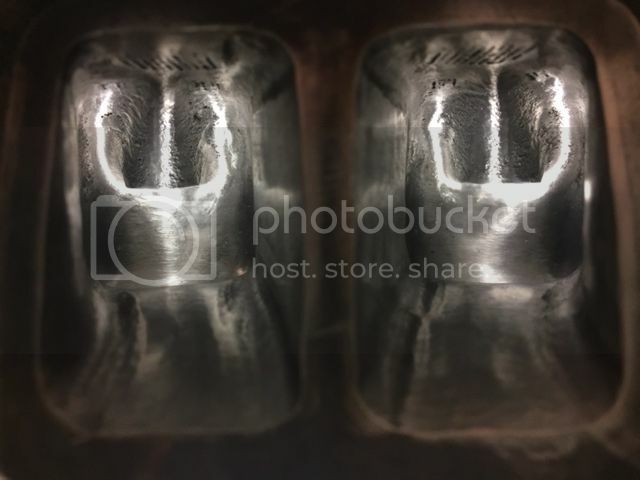 Unfortunately it did not completely remove the weird saddle point, but after measuring all 6 exhaust ports I noticed it is not a problem with all ports, although they look identical. It may be a combination with something with the test setup. The unshrouding did lift the top end a bit. This is what it looks like now, on the ports where i dont get the issue. 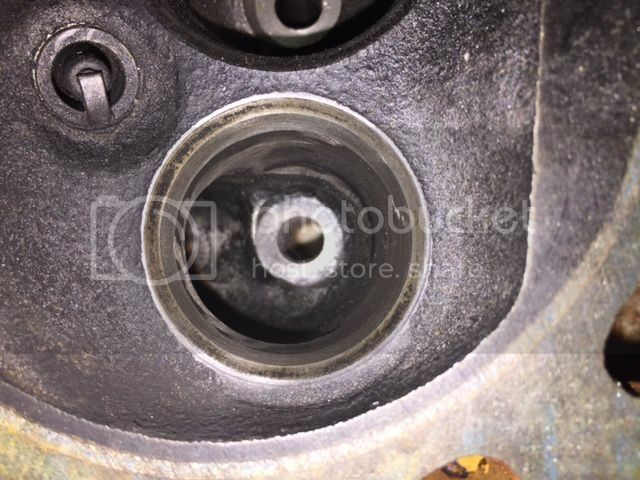 This is a comparison of the stock exhaust port, the ported one and the stock intake port. 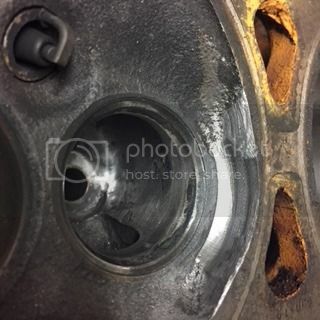 Its fun to see the modified exhaust port outflow the MUCH larger intake port by 25CFM! 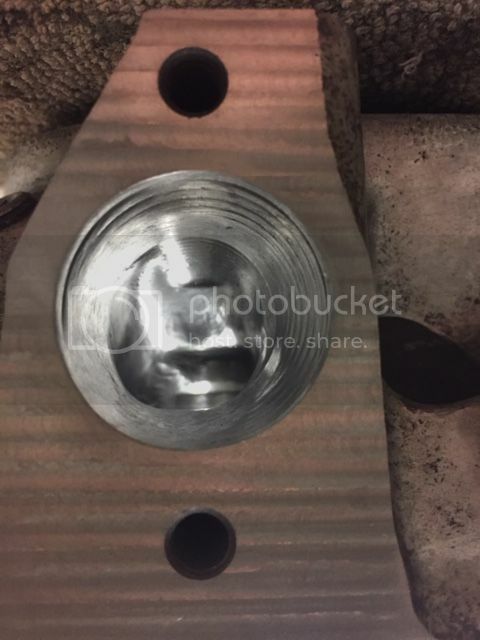 The stock intake port was measured to 146 CFM maxed out. You've done amazing work to prove what *some* of us knew from real-world results! 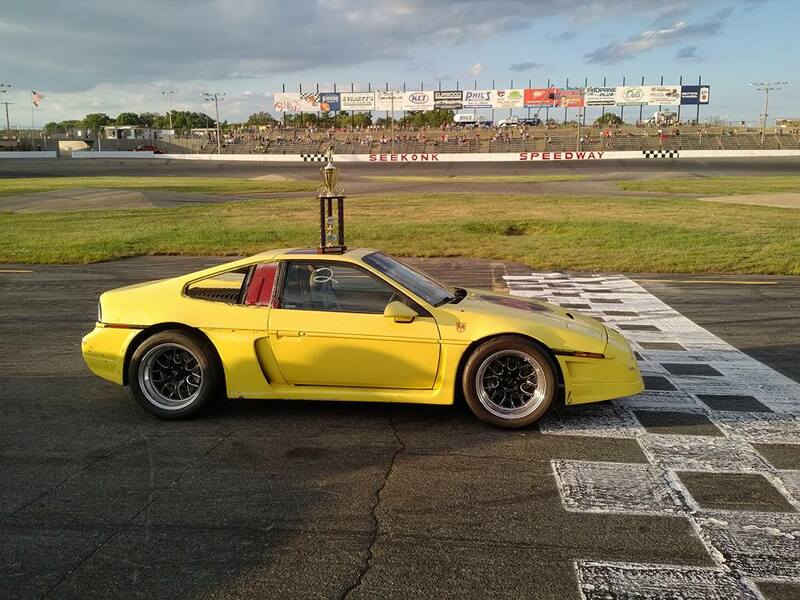 You wouldn't believe the trolls that came out of the wood-works when I posted a 187 rwhp / 249 ft*lbs Mustang dyno with my 3.4 using the ported Fiero intake, heads and 2.5" exhaust using the stock 3400 roller cam... Now, La Fiera is posting >250 rwhp dynos on Mustang dynos with custom cams and custom intake. Just curious as to your flow bench set up. If you have built a DIY can you share any details? Is he? If he's posted a dyno sheet, I missed it. If youre intrested in building one you can start with an adjustable vacuum source and a U-tube. You will get similar results by just checking pressure loss through the test object and you also see if you have enough power for generating correct pressures. I cant see any problems in generating same power levels/cui in these engines as any other pushrod GM engine since the 60s to now, they are all the same. One nice thing with the 60V6 is the compact size and relatively low weight. Its just harder work (and more fun) to get there due to less performance parts available. I took a lot of heat from trolls for my dyno sheets because I kept losing power. 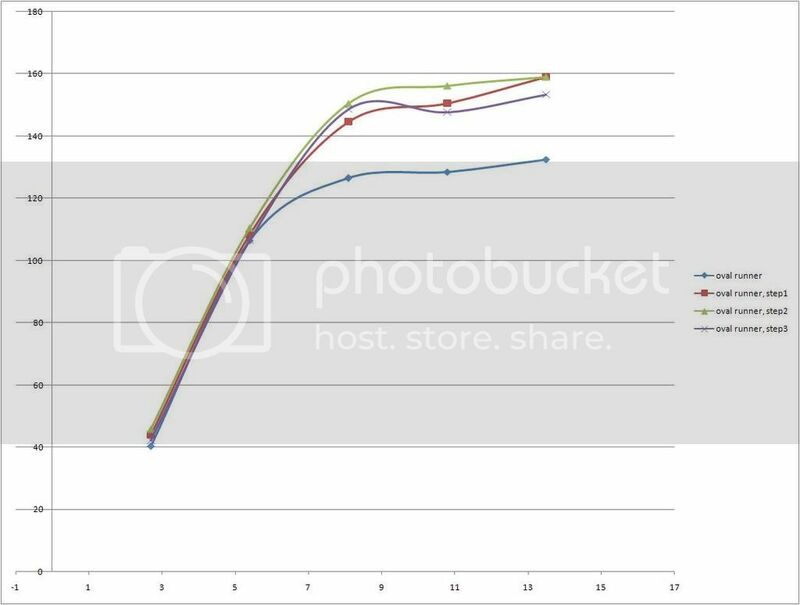 Most of my dyno's coincided with using a larger/heavier wheel+tire combination so the net result was that my dyno numbers consistently went down. It was a lesson I learned years later. My current wheel+tire weight is 52 lbs (325x35/17). I still put down over 200 ft*lbs and almost 170 rwhp but the struggle is real. All my weight gain is on the perimeter. 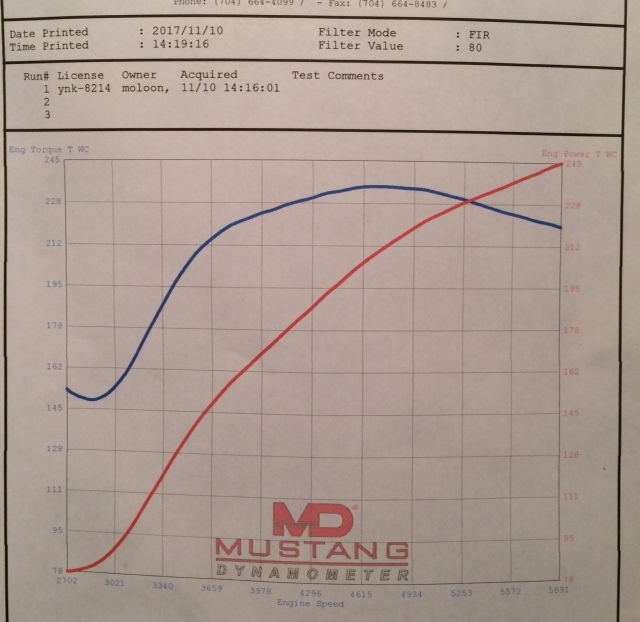 The best Mustang dyno in my area still reports 5% lower than Dynojet dynos... so even at 5900 that's >257 rwhp on a dynojet in my book..
You are right WIll, that was 245WHP AT 5900rpm. But just Look how straight the red line is. It laid out 252WHP @ 6200rpm. flow to keep the fuel rails filled as the injectors emptied them at high rpm. So, there's more to come at you Will! 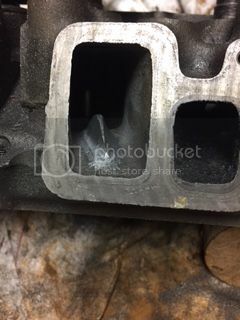 The stock intake port can flow ok if there is no turbulence in the transition between port to intake manifold, or to the surrounding air in my test case. However, the air divider do reduce the port area, and a large area is the most important factor for high flow. I tried a few different sizes of shark fins and also tested to make the valleys next to the fin deeper. After the shark fin test I removed the air divider completely and then started to make the port slightly larger in a few steps. and yes, there is no gasket matching done on the pictures, yet. According to the Chevy Power manual, that fin in the intake port increases flow by about 17%. Did your testing suggest otherwise? Yes I also read that one. Its hard to say.. I did not find any advantages with the stock shape compared to the flat floor, at least if you lower the floor sligthly at the same time as removing the air divider. Another annoying thing, the air divider gets in the way of the tools needed to work with the porting. I do not get any specific gains from making the air divider into a shark fin either. You may gain some in one end but loose in the other. But Im still working on measuring the different ports..
Too me, the fin was there to balance the pressure. 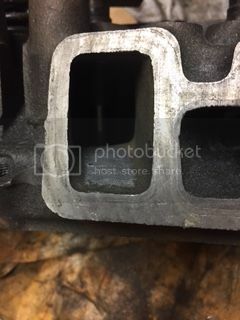 IIRC there is a dibit on the opposite wall so the air at the front of the stem would go up the down and then also split the flow around the sides evenly. So perhaps it's not something that shows up on a water-based test. This is one of those things where "water" and air flow differently... Air compresses. Water does not. Hence balancing air pressure is a thing. I think the stock shape is pretty good. The flow limit is likely to be the very sharp knee of the port design and it is hard to fix that. This is the difference in flow between a stock port and the ports above. Positive gain through the valve lift range with more than 25CFM peak improvement. I have also added som needed power to the flow bench, above 6kW, so I measure directly at 28" water now. this gives better results. Like Will would say, BAM! !